The European Open Source observatory has just written about the subject too. ODF implemented by one company is not the same as implemented by the other seven products. There’s rumble in the web during the last days. And the reason is something to celebrate, but regrettably only for the first look. Microsoft published Service Pack 2 for their Microsoft Office 2007 product and for the first time in history they decided to officially support saving and opening in Open Document Standard (ODF). We mustn’t let them get away with this. They should realize, that interoperability is not made by them alone, but by interacting with others, by working together and by sharing experiences. Maybe it’s time for an independent organization to test the usefulness of office documents? # I could point to other blogs, but this one comes from Jeremy Allison, author of Samba, now working for the great Satan Google. It’s actually quite interesting because what Jeremy is saying is that all this dispute seems to be based on the impression that Microsoft did the minimum to have ODF work inside MS Office. My take on this is we should first stop getting ballistic at each other, especially inside the ODF TC. 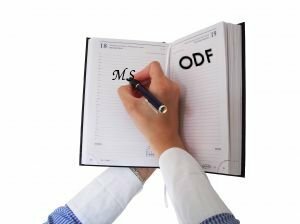 What is needed in the interest of ODF and the users, is to have a careful examination not on the ODF conformance in MS Office, but on why, based on experience, the interoperability is severely hampered when using ODF with MS Office. Based on this analysis we should be able to go forward. But don’t let this fool you: this has, I’m afraid, nothing to do with the development of ODF 1.2. # As an interesting reminder, here’s what the European Commission was saying about Microsoft’s announcement on the support of ODF inside MS Office last year. Is OOXML the better standard? No, it is not in my opinion. But I think that is what Microsoft now tries to make us public authorities think. I know about the facts behind the scenes. I know that this company declines real support for ODF by doing something strange, not aiming at real interoperability, but at a Microsoft implementation of ODF, not compatible with others. So they, as worldwide market leader, can proof the insufficiency of ODF. And they have the solution for us. Use OOXML instead. It implements every function Microsoft Office does. And the next step is, that other interested implementations should improve their products to implement everything OOXML does. Really simple, isn’t it? More about it was published in the German press and Rob Weir says: ‘UNESCO/Sun agreement “will promote the use of open source technologies, including OpenOffice.org and OpenDocument Format (ODF) standard”.’ He is referring to this joint development. That was enough for us to uninstall. Looks like IE8 may very well be what some people are already calling, the last nail in the coffin.